I have started my career building classical concert guitars and steel strings in the early 70’s in The Netherlands. 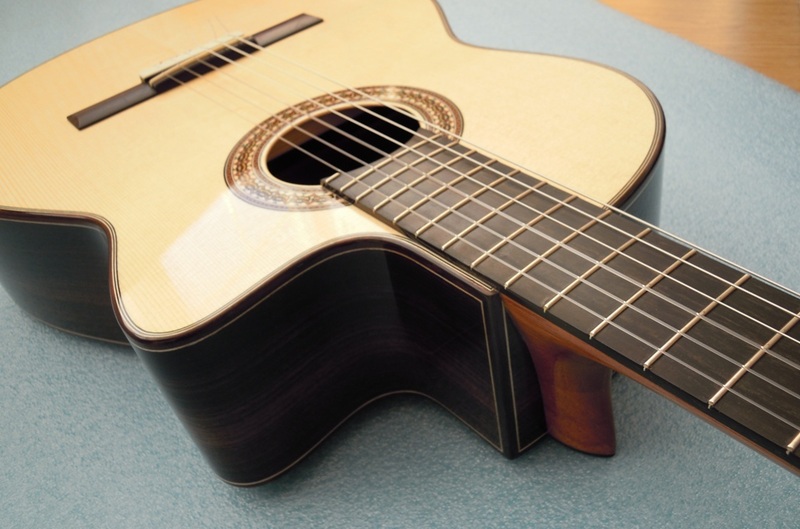 My classical concert guitars are made with aged European spruce tops and fan bracing. I do NOT make any double top, lattice/carbon fiber top or cedar top guitars. Saskia Spinder on a (1982) 10 string guitar. Enjoy the pictures on the gallery pages. Please note that these are not studio shots and that what may appear as a blemish is either dust or a reflection.